How to hard reset and remove/bypass Google account lock or FRP of Oppo A37f? 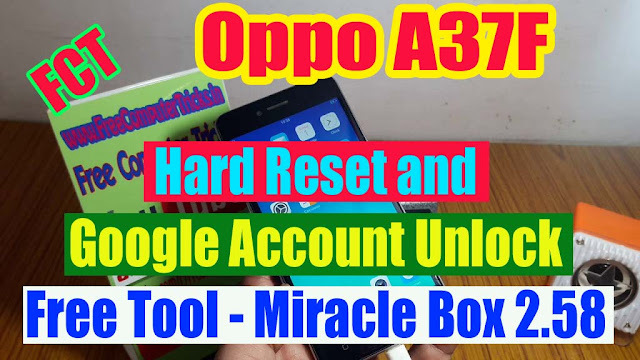 Here is the complete solution to hard reset Oppo a37f and if you have forgotten you Gmail id and password then reset Factory Reset Protection using the procedure given in this video. Oppo A37f hard reset and FRP unlock Free tool and complete procedure here. Download Oppo A37f Qualcomm Factory Reset tool and Oppo A37f Qualcomm FRP/Google Account Unlock Tool Free, download link given below. Oppo Qualcomm FRP Unlock Solution. 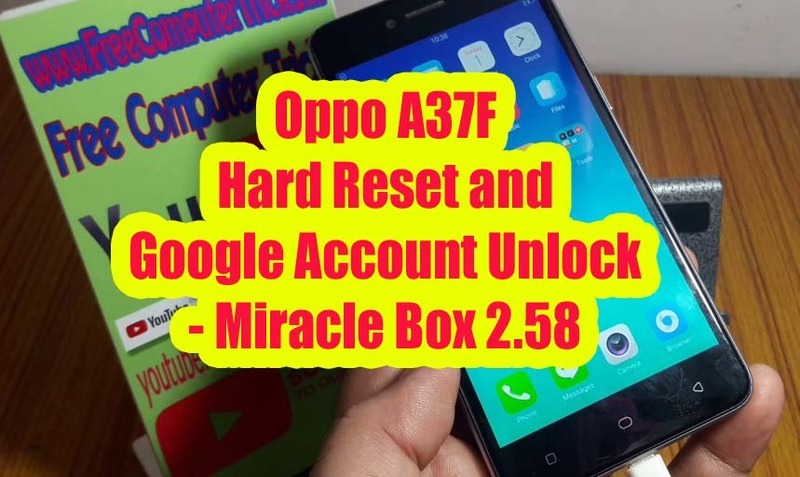 Oppo A37F Google account Unlock Free Tool. Oppo A37f account unlock Qualcomm chip set. How to hard reset Oppo A37f? How to factory Reset Oppo A37F? Open Miracle Software and go to Qualcomm Tab. Now select Factory Reset (Safe Mode) and choose the COM port. Click on Start Button and wait until the process complete. Hold Both Volume Keys and Insert USB cable. After flashing or Hard Reset or Reset or Unlock FRP Lock of Oppo A37f if the phone does not switch ON normally. If you are facing this problem then follow the below steps. Hold Volume Up + Power Key for 1 minute or more to switch ON the phone. Go to Qualcomm Tab and then Extra. Then select Remove Account Lock (Other). Connect the phone with EDL Mode. Select the Qualcomm COM port and Click on Start Button. After Unlock Account Done remove the phone and Switch ON it.